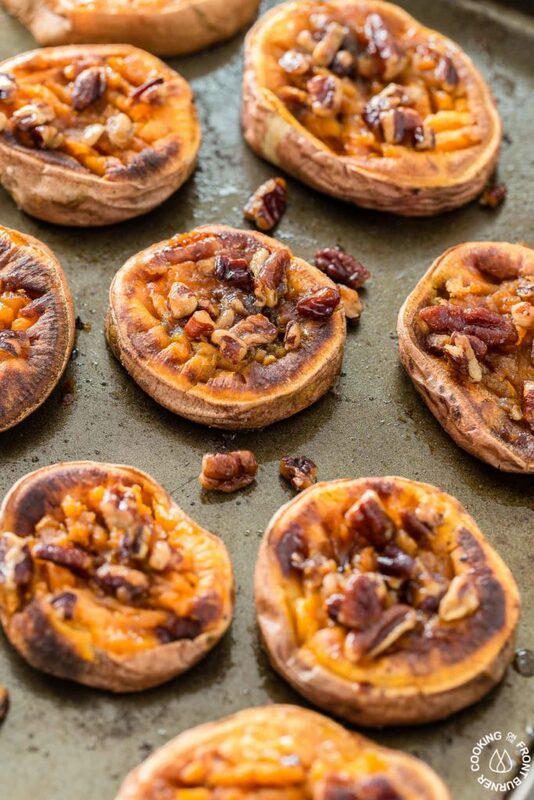 Ok, someone put on the turkey and I’ll bring these tasty smashed sweet potatoes. 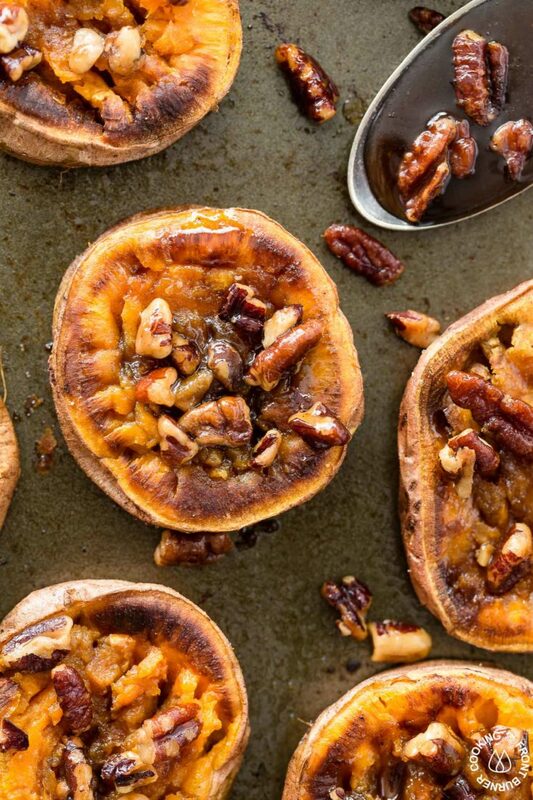 We can have them for appetizers or a side dish but for sure we definitely need these on the table this year! Yes, I know today is Halloween but as soon as we change the calendar tomorrow, it will be time to get in the holiday meal planning mood. That means main dishes, side dishes, appetizers and desserts – oh and don’t forgot maybe a cocktail. 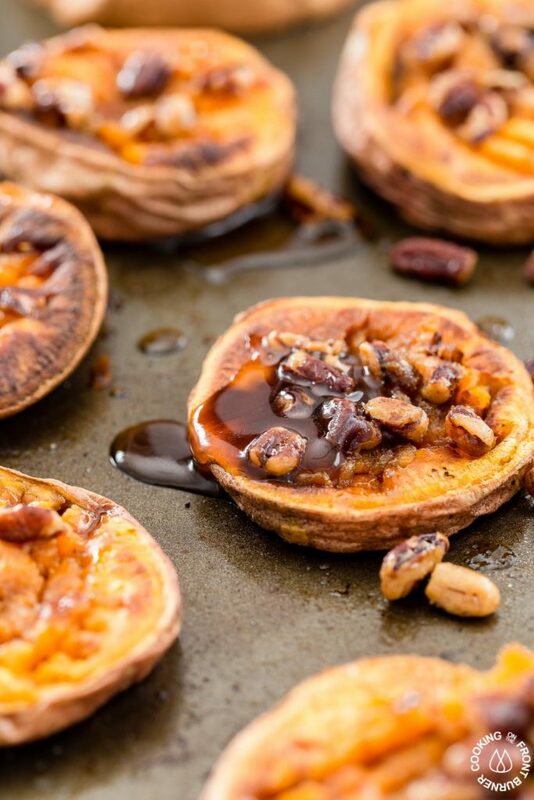 I think you will love having sweet potatoes this way. They make a nice presentation and have a bit of heat with the addition of some chili powder. 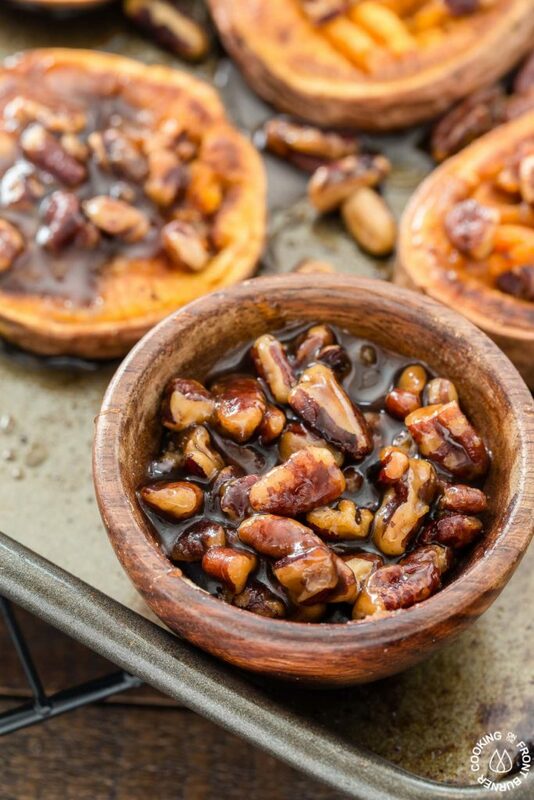 Then after they are roasted in the oven, they are topped with crunchy roasted pecans and a maple sauce. You can make as many as you would like by adjusting the recipe because they might just disappear quick – just saying! Normally we head to our daughter’s place for Thanksgiving but this year they are heading to his side of the family. I know they will have a great time as there are many cousins for our grandkids to play with. So, Kristina if you are looking for something to bring, give these a try! As mentioned, it is time to get some ideas for planning your menus. Some side dishes that you might like are these bourbon honey glazed carrots and roasted butternut squash with cranberries. 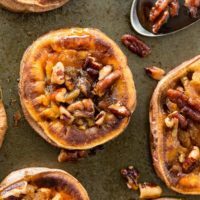 And let’s not forget about dessert with these no-bake pumpkin spice cheesecakes – they are made in individual servings. My mouth is starting to water thinking about all the good food that is coming up. Combine the cinnamon and chili powder (reserve 1/2 teaspoon). Saute for 5 minutes then add the 1/3 cup of maple syrup then remove from heat and add another tablespoon butter. These look and sound delicious. Plan on giving it a try! Wow! They look amazing. 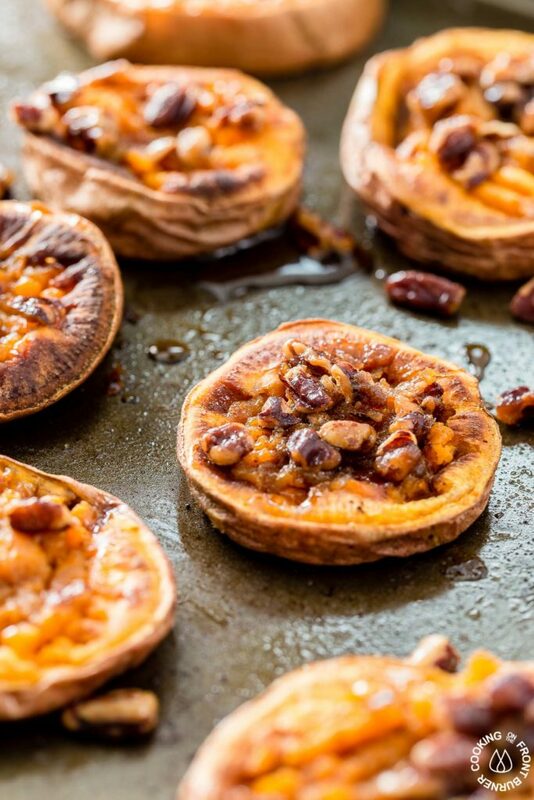 My hubby and I just started enjoying sweet potatoes…other than Thanksgiving and we’re loving them! This looks like a recipe I know he would love too! Thanks for linking up with Delicious Dishes Recipe Party! Yummy! 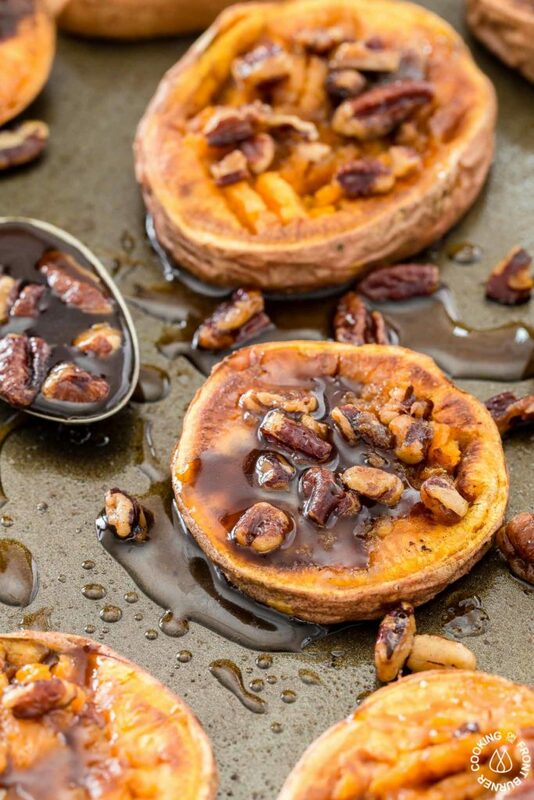 You did make wonderful Sweet Potatoes. 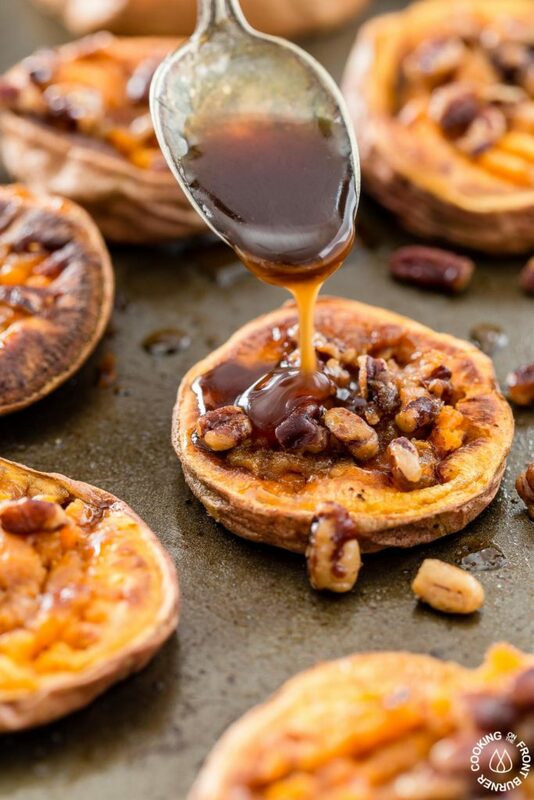 I always cook Sweet Potatoes, but I use a very simple way, I think it is time to try the recipe. Thanks. Love sweet potatoes. Fun to try something new for Thanksgiving. Pinned. Visiting from Funtastic Friday.